No, I didn’t fall off the face of the earth…we have been busy prepping our house to go on the market! It’s been a two month process, but the past two weeks have been crunch-time – hence the hiatus from blog posting for a bit. After lots of painting, de-cluttering, cleaning, and staging, our house is finally ready to list. We are praying it sells quickly, because keeping a house show-worthy with a dog and a one-year-old is going to be a full-time job! Part of the process of preparing our house for the market was finally getting around to decorating the master bedroom. It was in pretty desperate need of a face-lift…but more on that in another post. 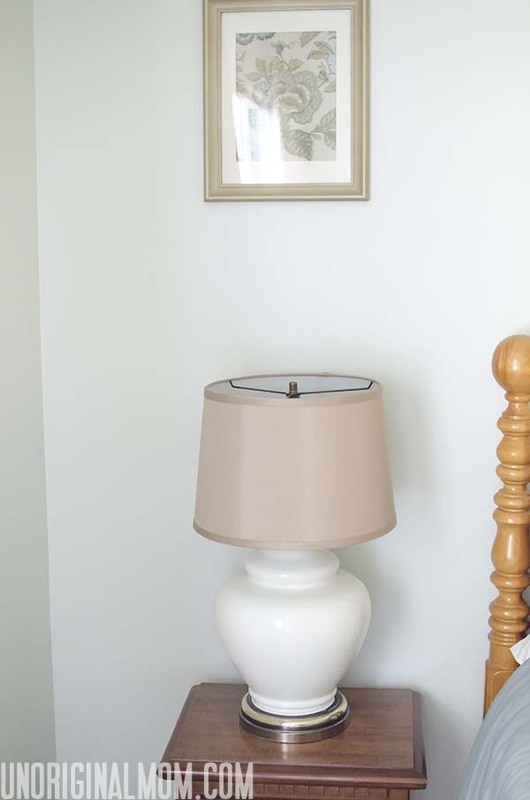 I do want to share with you the lamps that I re-did for our bedroom, though! 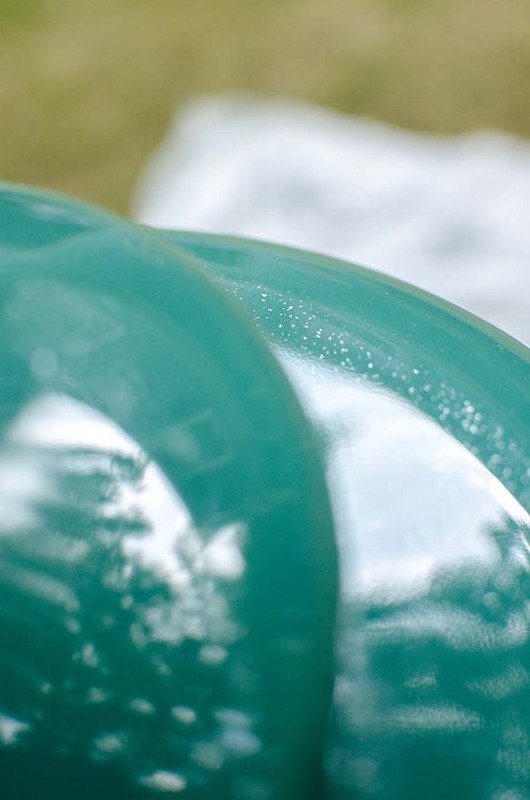 But you can kind of see in this photo that the finish had lots of bubbles and specks underneath the clear coat. Plus the particular shade of green wasn’t going to work in our bedroom. So, a few coats of spray paint and clear enamel, plus some new shades, and voila! Originally I was going to paint the whole thing, but at the last minute I decided to tape over the brass at the bottom and just paint over the green. It works well with our new bedroom color scheme, which drew in some gold/champagne accents from our bedspread. 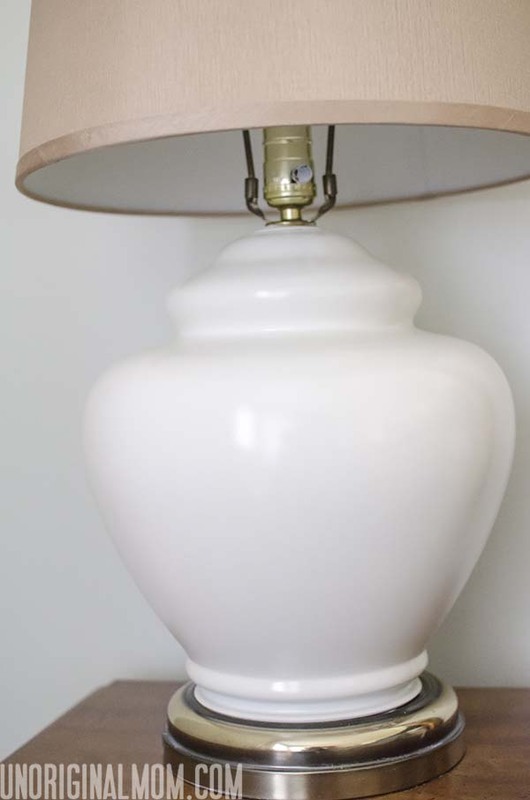 They look great on our nightstands (which don’t match…but at least the lamps do! ), and we hung the Napkin Wall Art that I made as a neutral decor for staging right above them. You’ll see more photos of the master bedroom later, to get a sense for how they work in the room. More posts on our master bedroom/bathroom updates to come! 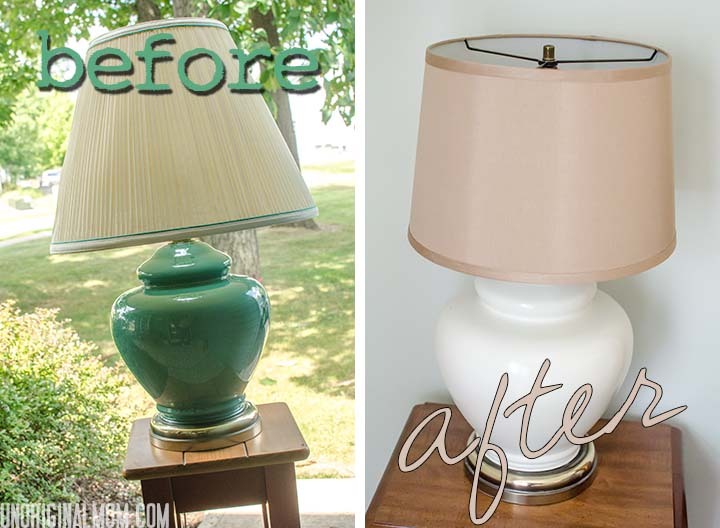 This is a fab lamp makeover, Meredith…especially when you see how far it came compared to the original! I likey. Hope your house gets sold soon, especially after all of your hard work. Thanks Lauren! 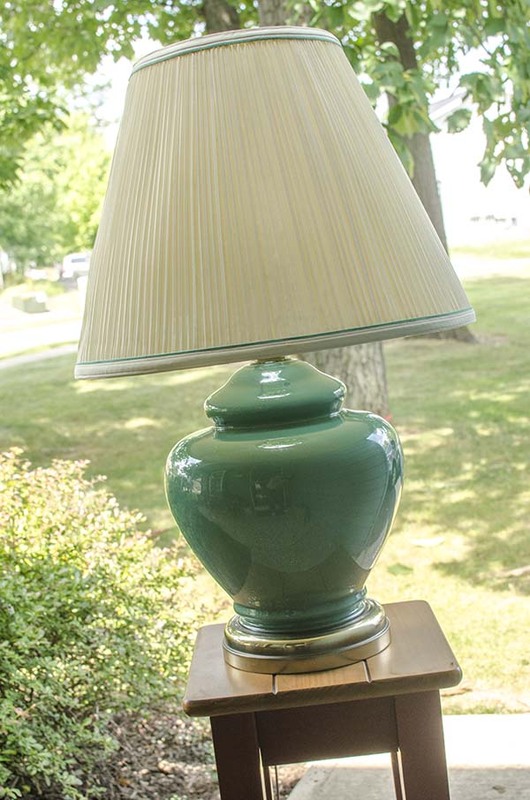 Lamp makeovers are addictive…I’ve got several more waiting in the basement, teehee.